When I tell people I'm a writer, one of the first things they say (after the obligatory “So, when are you going on Oprah?”) is generally some variation of “too bad kids/teens/people-in-general don't read anymore” accompanied by either a defeated sigh or a fed up eye roll. Now, I love to counter this by pointing out that people are actually reading more than ever. There's this thing called the internet, maybe you've heard of it? Smart-assing aside, though, I understand what they're saying: people don't buy books, they just watch TV/Movies/cats on YouTube, the age of literacy is ending, etc, etc. It's all part of the never ending cloud of doom and gloom that sits on commercial publishing's shoulder like a vulture, waiting for the bookstores to crumble so it can feast on the rich offal of schadenfreude. A horrifying specter to be sure, and as someone who makes her living selling stories, it would be easy to be afraid. After all, if people don't buy books, my mortgage doesn't get paid. That said, I don't buy into it for a second, and I'm going to tell you why. When people talk about the public's book buying habits, it's often in comparison to other entertainment options, like movies or television*. And it's true, when you look at book sales numbers next to, say, box office numbers, even the huge bestsellers start to look anemic. So why don't books sell like movies do? It's clearly not a price issue. My book, which released in mass market paperback (the size you can stick in your purse or a really big pocket), retails for $7.99. That's the matinee price at my local theater and a third of the cost of a new DVD. Now, it's true trade paperbacks will run you a bit more, and hardback prices are outrageous, but I think we can safely say that price isn't the driving factor here. So what is it? Why don't people buy more books? Is it because our schools are failing at teaching kids to enjoy reading? Is it because publishers aren't serving the needs of the book buying public? Has America (and rest of the world) simply decided that movies and/or television are superior storytelling mediums? Well, maybe on some of those, but I would put forward that the real reason book sales are eclipsed by movies and almost every other form of consumed entertainment is because, frankly, books are not for everyone. They are not for the lazy, reading a book requires you to work with the author. Even the simplest, trashiest, escapist books require you to fill in faces, places, voices, everything with your own imagination. Where movies ask only that you watch, meaning keep your eyes open and your brain engaged enough to follow the plot, books are a two way street. You and the author share the storytelling, the author provides plot, character, story, and description, but everything else is up to you. That takes work, though, effort, and if life as an American has taught me anything, it's that we freaking hate doing work, even when the work is enjoyable. Movies and television are easy. Even in the best of them, your story is fed to you through a straw. All you have to do is take it in. This is not to diss on screen entertainment. I'm an avid reader, but there are plenty of times when all I want to do is turn on the TV and watch. That's fine, that's what television and movies are for: plug-n-play entertainment. But books, books are work. Amazingly fun, rewarding, life altering work, but nothing can change the fact that people are lazy, and work, even awesome work, tends not to get done when there are other options. This difference (easy story consumption vs. working for you story) might seem like another nail in the coffin for reading. It's not a stretch to say that people don't like effort, just look at how many of us choose the elevator despite the much lauded health benefits of taking the stairs. However, this is also the exact reason I say that, although movies and television and whatever new story technologies are to come will probably always eclipse book sales, books will never, ever go away. See, the work a reader puts into a book is an investment, an investment that often pays out enormously. Reading gives you a stake in the world you are helping to create, something anyone who's ever read a book and finished with that special sort of giddy glee that accompanies a fantastic read can attest to. No one is ever going to give that up. Still, all that joyful tingling doesn't change the fact that books will never out do movies in sales because books make you do work. Blah. However! This doesn't mean that books are flopping. The vultures are going to have a long wait because books are actually really hot right now, and they're only going to get more popular. That's because the next generation of readers coming up is the Harry Potter generation. Harry Potter and other blockbuster books, Eragon, Lemony Snicket, Twilight, and so on, whatever we may think of them, have done more for reading than any school literacy program could have dreamed. These books made reading cool. They taught an entire generation that books are worth the investment. And for genre writers, it gets even better. I mean, Harry Potter made wizard fantasy, once the realm of the ubernerd, cool. These blockbusters, most of which have been fantasy, have brought floods of money into fantasy/scifi publishing. 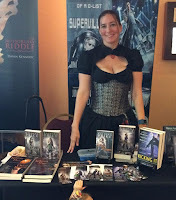 This money, along with the rise of SciFi culture thanks in large part to videogames and movies, plus the ravenous beast that is Urban Fantasy, has created an explosion of interest, investment, and new offerings in genre fiction. Add to this the excitement of e-readers, which combines reading with America's favorite pastime – gadget buying, and suddenly publishing has a pretty bright future. In fact, I can't think of a better time to be a debut novelist. The truth is we are living in a golden age of reading. We as a species have never had more or better books so easily and cheaply available. And within this golden age of reading is a platinum age genre fiction, and it's only getting better. So the next time someone says publishing is dying, tell them (politely) that they're full of it. Publishing is changing, and change is never easy or disaster free, but books are thriving. In fact, it's probably never been easier or more rewarding to be an author than it is right now, and there's certainly never been a better time to be a reader. So enjoy this golden age of fiction, read everything that you can, support your writers by spreading the word about their books, and let's see if we can keep this fantastic thing going for years to come. 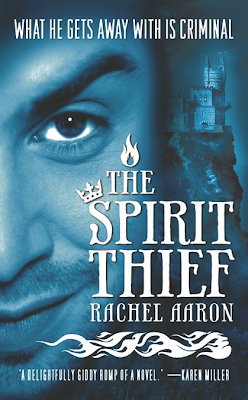 Rachel Aaron the author of The Spirit Thief, a funny adventure fantasy about money, magic, and the world's greatest thief, available at bookstores everywhere October 1! You can read sample chapters, reviews, and Rachel's blog at www.rachelaaron.net. Thank you so much for joining us today, Rachel! For those of you following the Grave Witch blog tour, remember you can find all the tour stops on the front page of my website. Today's stop is a post on Magic in Modernity over at Reading with Tequillia. Please go check it out! Congratulations on your new release of Grave Witch. I bring this up now instead of next Tuesday because Borders in D.C. has already received copies of your book to be put on the shelves in the next couple days. You have both reached the whole East Coast and expanded to multiple bookstore companies, good signs of success. So you see, what happened was . . .
What does an author look like? 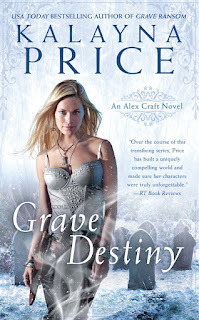 Want to win a copy of Grave Witch?